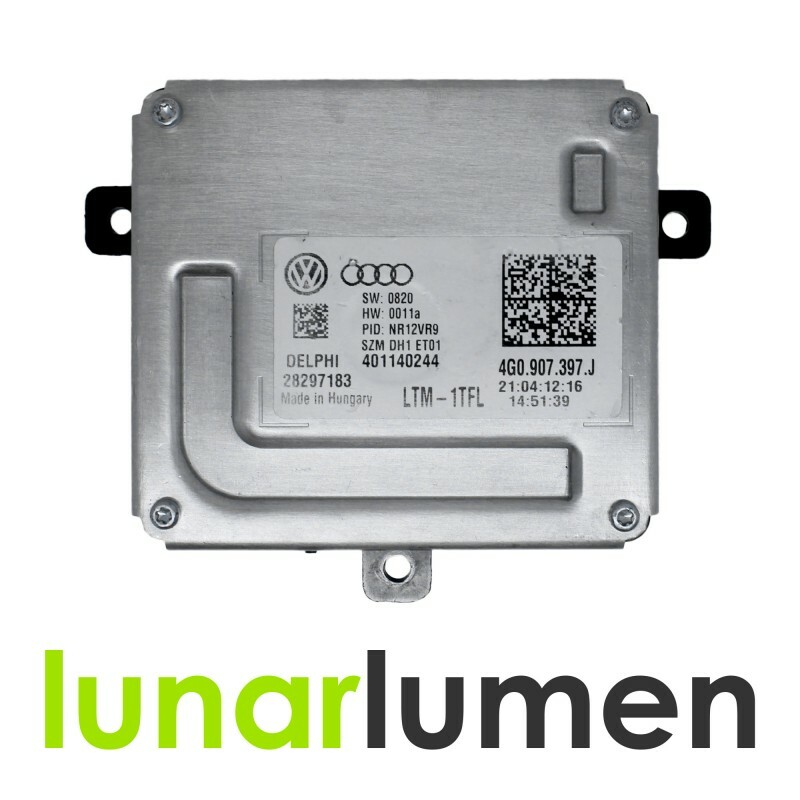 Delphi 4G0907697J LTM-1TFL LED control unit. 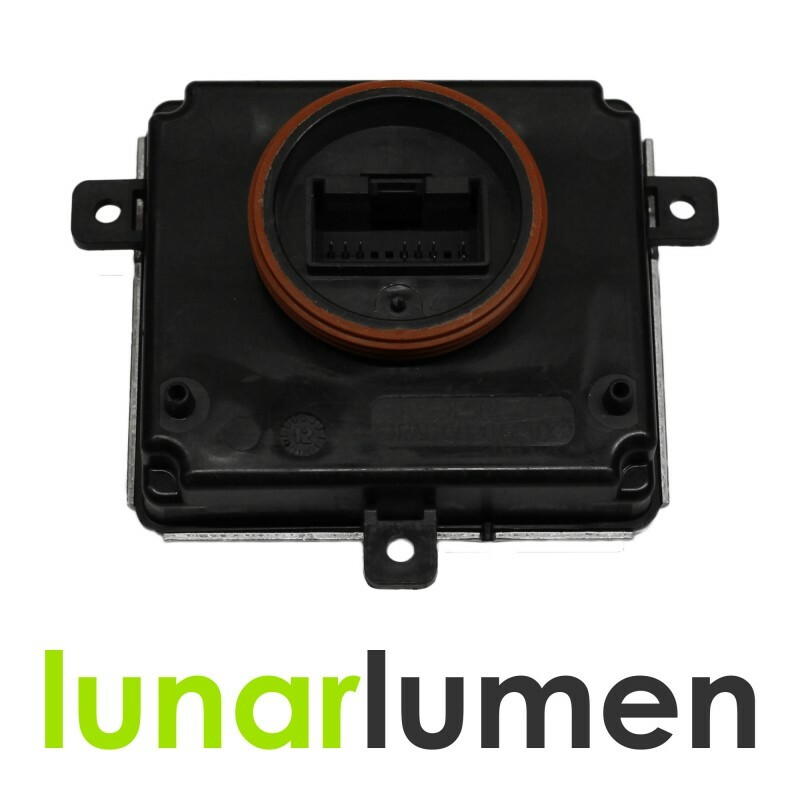 If your Daytime Driving lights don't work anymore, you will need to replace this LED power module. This ballast is direct replacement and doesn't require any modifications. There is no need to buy brand new headlight to fix daytime running lights issues. 4G0907397C - 4G0.907.397.C - 4G0 907 397 C.
4G0907397J - 4G0.907.397.J - 4G0 907 397 J. 4G0907697J - 4G0.907.697.J - 4G0 907 697 J.
VW Scirocco III 13 (2014-2017). Please note: This list is not full, it may fit other vehicles as well, please check part numbers, pictures and if they match, it will definitely fit. Most common reason for control unit ballast failure is water damage. If your headlight is damaged and not sealed properly and is not 100% waterproof, there might be water inside, and you can easily damage ballast again, so you may need to fix your headlight or buy a new one, prior to installing new control ballast. We take no responsibility for water damaged control ballasts, and will not issue a refund or take unit back, as this is your responsibility to properly check your headlight before ballast installation.